We slay 'em every day! Optimistic Fishing Charters, located in Orange Beach, Alabama offers all types of fishing charters on our 43' Viking Express sportsfisher. We specialize in Cobia trips (especially in March and April) but we fish for every kind of fish in the sea...well, make that the Gulf of Mexico! 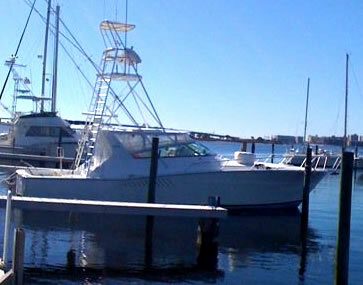 43' Viking Express Sportsfisher - 20 knot cruise speed!